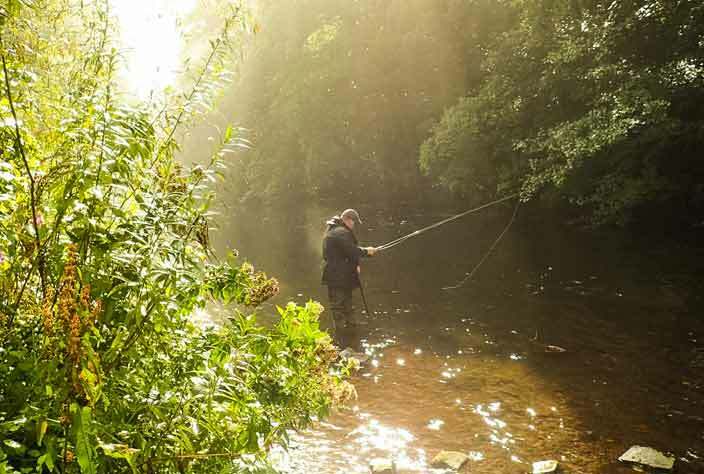 Our fly fishing lessons take place in & around the beautiful Derbyshire Peak District on our private river or local still water. All the equipment is provided and the fishing permit is included too. 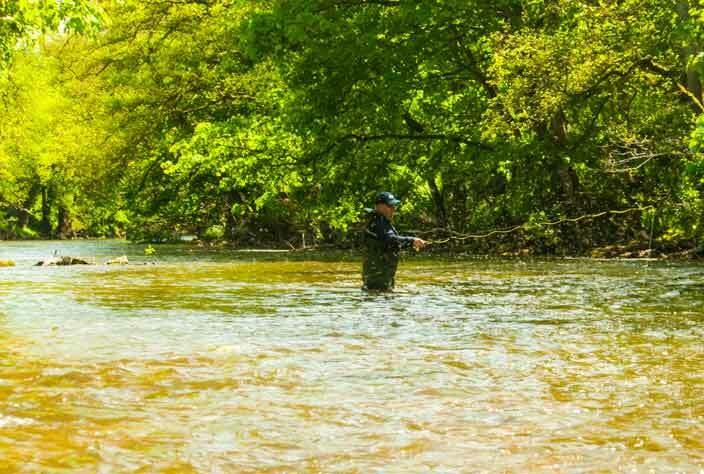 You can book a fly fishing lesson for yourself or buy a gift voucher, we accept all credit and debit cards and you can pay through PayPal too. If you have any questions at all, please don’t hesitate to get in touch. Lessons are tailored exactly to suit your ability and objectives and are delivered by expert game angling coaches. 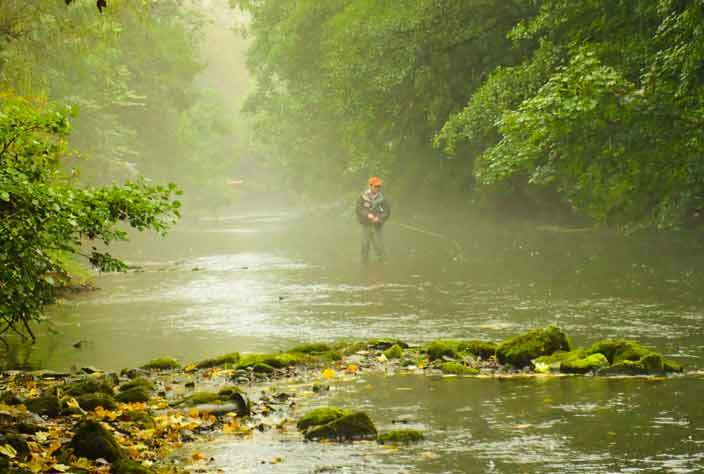 Learn the art of fly fishing on our beautiful private beat of Peak District river. Relax and enjoy the tranquility of the river. An exclusive private beat of Derbyshire river just for your lesson. 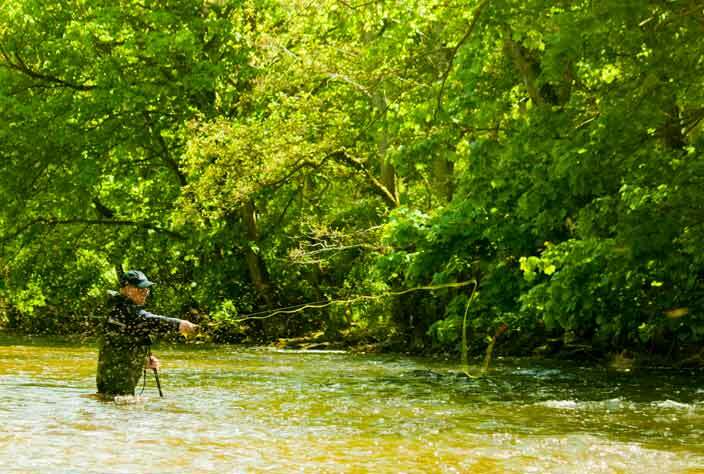 Buy a gift voucher or book a lesson and enjoy learning to fly fish with us. 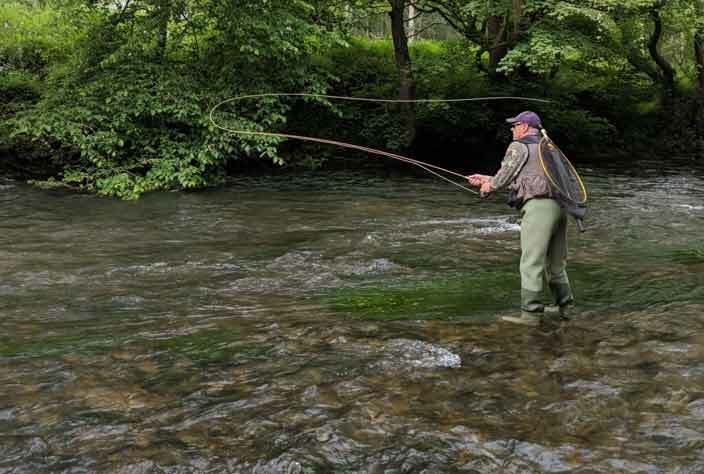 Learn how to cast with style and precise turnover. 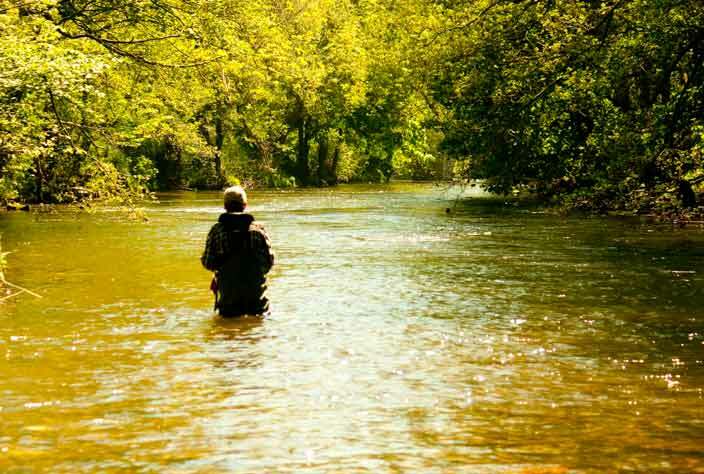 Absorb yourself in nature on a fly fishing lesson with us.